Aurelio Lomeli Nuñez Sr. of Santa Barbara passed away on April 15, 2015, in his hometown of Tala, Jalisco. He was 78. Aurelio was born September 26, 1936. He is survived by his children Joel Lomeli (Virginia), Lorena Jimenez (Alfredo), Gladis Jimenez (Miguel), Frank Lomeli (Theresa), Aurelio Lomeli (Christina), Henry Lomeli, Hugo Lomeli (Priscilla), Oscar Lomeli (Deirdre), and Nallely Lomeli (Joshua). He is also survived by many grandchildren and great grandchildren who always enjoyed their time with him. 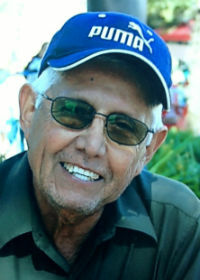 Aurelio will be remembered at a memorial mass at 6 p.m. Wednesday, April 22, 2015 at Holy Cross Catholic Church, 1740 Cliff Drive in Santa Barbara.